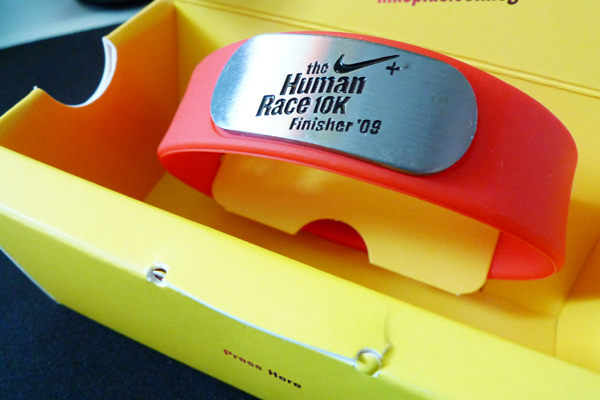 Having missed last year's Nike Run, I was on the look out for this year's run. Finally, the advertisement came on sgrunners.com and I quickly signed up for it. But the website was creating some problem with the signups. Nonetheless, I managed to register for the run. 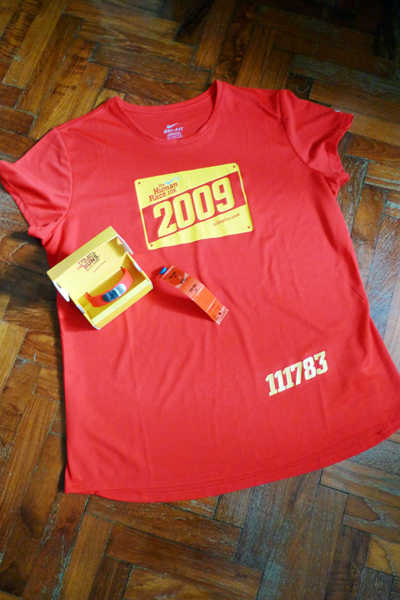 Looking at this year's race tee, the design was rather disappointing. I feel that last year's design was better. The race route was ok.
Apart from the small slope at the nicoll highway and then at the underground road at beach road area, the rest of the route was generally flat. One annoying issue was that the male runners were rather rude. They push you aside in order to run past you. Well... the very least they could have done was to say "coming through". Isn't that the running courtesy all runs have been asking runners to do? Baggage deposit was great and smooth and away from the heat. The finisher's bracelet collection point was a bit awkward. Overall a great run for me as I hit my personal best. 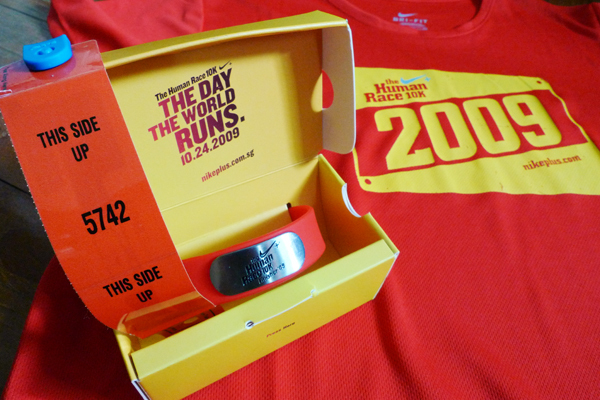 Race tee, finisher's bracelet and champion chip tag. Close up of the items.